These days, it takes a whole lot of material and originality if you want to stand out of the crowd, and it’s especially true in the ever-evolving world of online marketing. Luckily enough, the Internet is so forthcoming and comprehensive that there will always be enough space for everyone’s business promotion. Space, yes. Audience, not so much.Attracting the right audience and gaining profit with your online advertising very much depends on how you decide to approach the huge but rickety advertising platform that the Internet turned out to be. 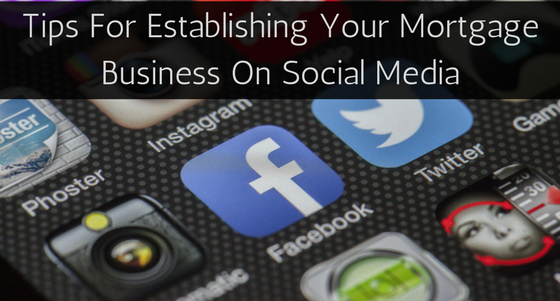 One of the most effective ways to promote business is social-media advertising. People are literally living their lives on social media, turning it into a friendly meeting point, a business space, and an information source, all in one handy package. A recent study by Pew Research Center shows that 79% of all Internet users worldwide use Facebook —approximately eight in ten adult Americans. As a matter of fact, the audience is right there. You just have to reach it. Facebook, Twitter, Instagram, what will it be? Each of these social media platforms offers a rich variety of advertising methods such as sponsored posts, banners, videos, slideshows and more. As previously mentioned, Facebook is the most widely used social medium with 79% of all Internet users, Followed by Instagram with 32% and Twitter with 24%. From my own experience, I’d definitely recommend starting with Facebook. It’s easy to set up a business page, there’re a wide variety of ads to choose from, and the setup is quite easy even for a rookie. I hope I don’t need to go in too deep on this topic, but just to be sure, you have to know who you want to reach (e.g., students, young families, fresh graduates, or just young adults generally). The success of your advertising and interactions with people will be fully dependent on whether or not it will reflect and respond to their needs and expectations. On a related note, you may want to decide upfront on the tone you’ll be using in your ads as well as in your communication with the people. The modern audience is much more sensitive to written conversation (as it has been slowly taking over talking on the phone), so avoid glaring contrasts in the writing style of your comments, interactions, and your ads. Be consistent, and most importantly, human. Automated messages, copied templates, and cold sales pitches won’t gain anyone’s trust. And trust is the most important part of every mortgage business. People who are new to social media advertising are often getting overwhelmed by the space and attention they can get for their products and services, and they spam their own business page with ads and offers. First of all, nobody is going to read through all of this, because why would they? Secondly, a Facebook page is not a bulletin board, not even when it’s your own page. Therefore, think twice before posting anything, and always consider whether you’re really bringing some value to your audience (along with the advertising), or whether it’s just sheer self-promo. You can post updates from your company (profiles of new employees, client testimonials, closing updates, new loan products, weekly mortgage dictionary term, inspirational quote, FAQ etc.). The tricky thing about social media is, it’s social. You need to keep that in mind when posting things – if people will react to them, they will expect some kind of an activity from your side as well. Don’t waste these meaningful opportunities to connect with your potential clients on a personal level by leaving their comments, questions and requests anywhere on your business page unanswered. It will make you seem vain, unapproachable and unprofessional. And don’t forget – every comment gives you potential opportunity for gaining a new client. So make it count. The mortgage industry is incredibly serious, deeply personal, and for many a very scary and stressful area. But it is a known fact that a little fun never killed nobody. Pages like L. Scott Briscoe’s Free Legal Tips are proof that the use of humor can serve a business in becoming more popular and approachable. Try to create genuine, relatable and sometimes even funny content that will resonate with your audience. We’re living in the time of memes, people. Use them well, and people will know your name by heart, and they will be much more likely to come to you when they need financial advice.